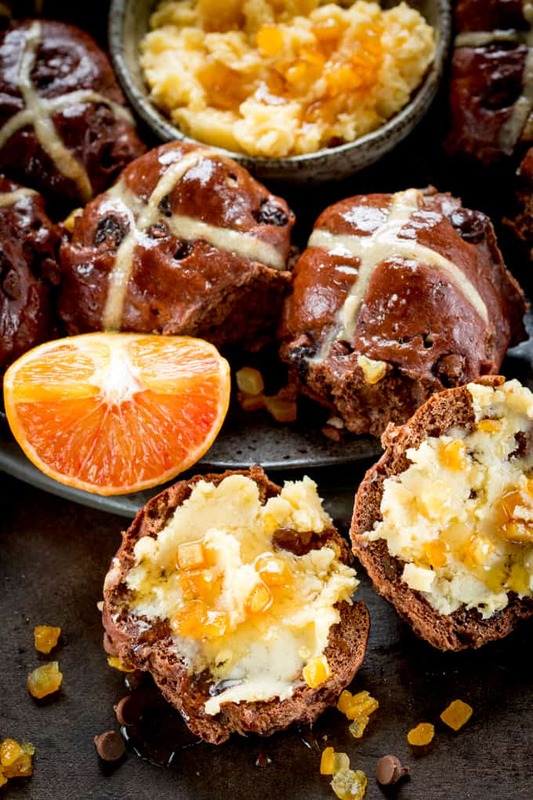 These Chocolate Orange Hot Cross Buns make a great Easter dessert or Breakfast! 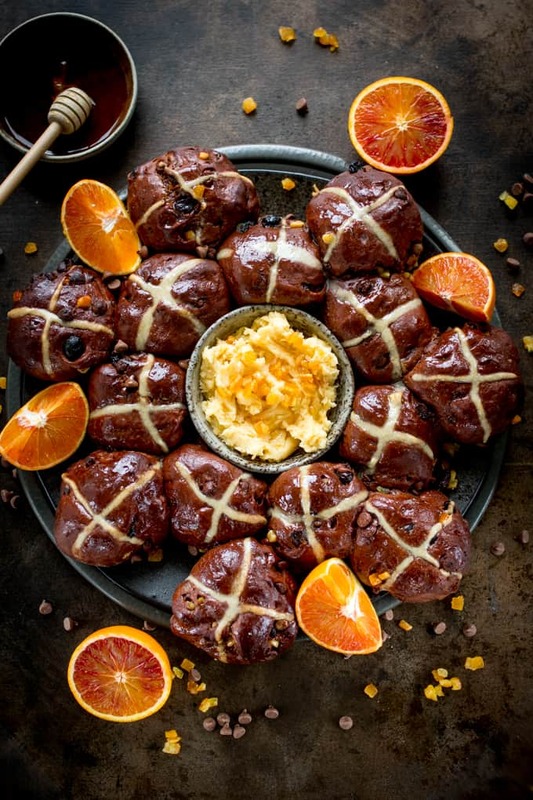 I thought I loved regular hot cross buns, but these Chocolate Orange Hot Cross Buns With Orange Honey Butter take this Easter favourite to a whole new level. I made these on Friday night ready for a food styling class Chris and I were attending on Saturday (more about that later) and I’ve been eating them for breakfast every day since. The last one was scoffed today, and I’m now going to have to make a new batch! 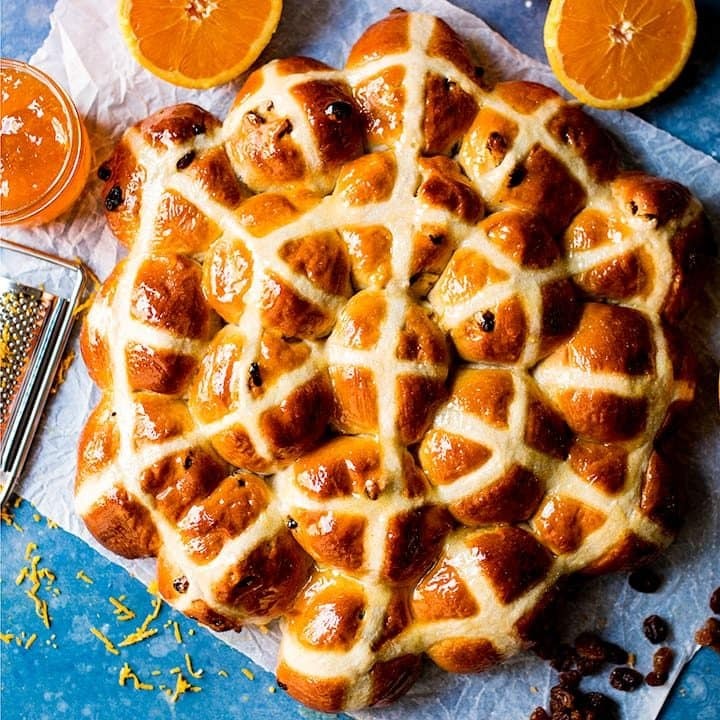 I love the chocolate and orange flavour combo, but I wasn’t sure if it would be overkill to add them to the already delicious cinnamon-y taste of hot cross buns. 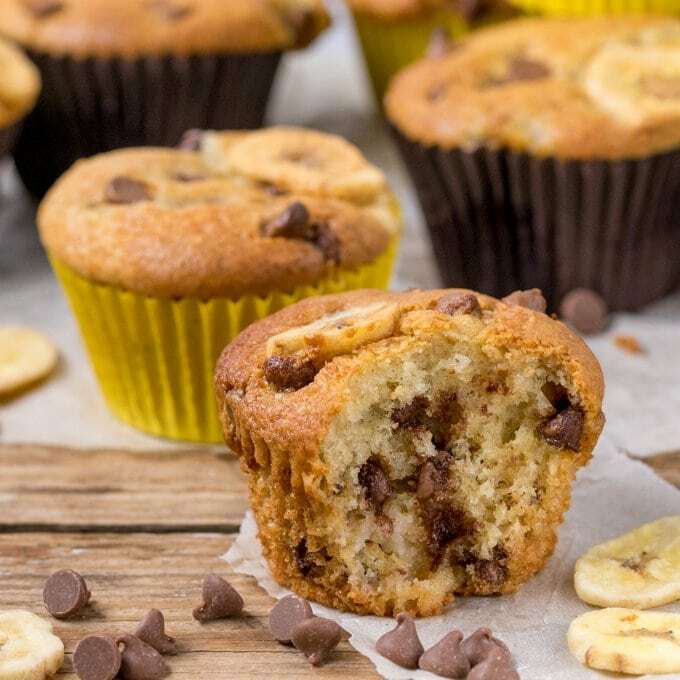 The kids like them warmed in the microwave for a few seconds – just enough to melt the chocolate chips. Lewis also likes to spread peanut butter on his. Completely revolting, I know, but I can’t part him from his morning peanut butter fix. I like mine lightly toasted with a bit of regular butter, or honey butter. So let’s get back to the workshop! One of my birthday pressies was a day food styling with Woodrow studios. I spent the evening prior to the workshop creating recipes, then we loaded up the car and headed down to Nottingham on Saturday morning. The studio was beautifully light and airy, and we got to work on our photos with the help of Sophie (food stylist/photographer and maker of the most amazing photography background boards) and her partner Tom (chef and food stylist). We also had help from a photographer who came in for the day to show us some artificial lighting and flash photography techniques. It was so nice to be able to spend the day taking photos, trying new things, using different props, lighting and backgrounds. I felt very inspired, and I hope to go to more of their workshops in the future. I also came away with several new background boards! These hot cross bun pics were taken on the day. I almost shared out the buns after taking the photos, but then realised the kids wouldn’t forgive me if I didn’t take some home (that’s my excuse :-)). Fortunately the team provided a fab lunch anyway – homemade cauliflower and cumin soup, local cheeses, breads and crackers and a delicious home-baked cherry and almonds cake (which it turned out, was from my recipe! I’m very flattered!). 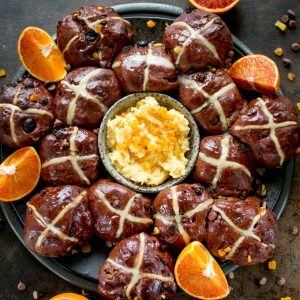 I hope you enjoy these Chocolate Orange Hot Cross Buns, and even if you don’t make them, try the easy orange honey butter – it’s delicious!! 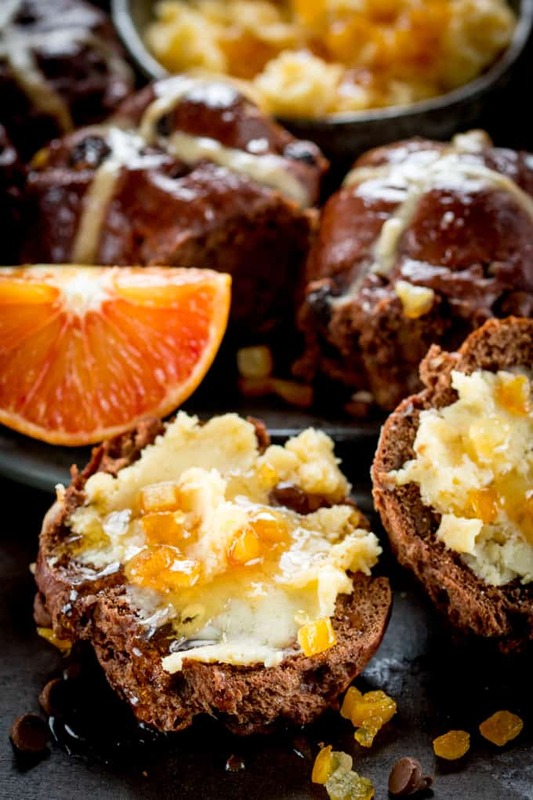 These Chocolate Orange Hot Cross Buns make a great Easter dessert or Breakfast! Serve warm, cold or lightly toasted with easy orange honey butter! In a large bowl add the flour, cocoa powder and sugar, then on one side of the bowl add the salt, and add the yeast to the other side (yeast doesn’t like direct contact with salt). Set aside. In a jug, add the milk, butter and orange zest, and heat in the microwave, or a pan, until the butter has melted and the liquid is hot, but not so hot it would burn you. Add the liquid to the flour mixture, then give it a stir with a wooden spoon and add in the egg. Give it all a good mix with your hands and then tip out onto a lightly oiled surface and knead for about 5 or 6 minutes. Alternativley, you can use the dough hook on a food mixer and mix for 5-6 minutes. Gather the dough into a ball and place in a bowl that’s been lightly greased with olive or vegetable oil. Cover with clingfilm and leave to prove in a warm room for an hour. After the hour is up, add the raisins, citrus peel, chocolate chips and cinnamon. Mix with your hands, then tip the dough onto a lightly floured surface and knead everything in for a minute or two until it’s fully mixed together. Place back in the bowl, cover with clingfilm and leave to prove for another hour. Tip the dough out on a lightly floured surface and divide into 15 equal (ish) pieces. You can do this by eye, or you can weigh the dough and divide by 15 – weighing each piece and adjusting as you cut it. 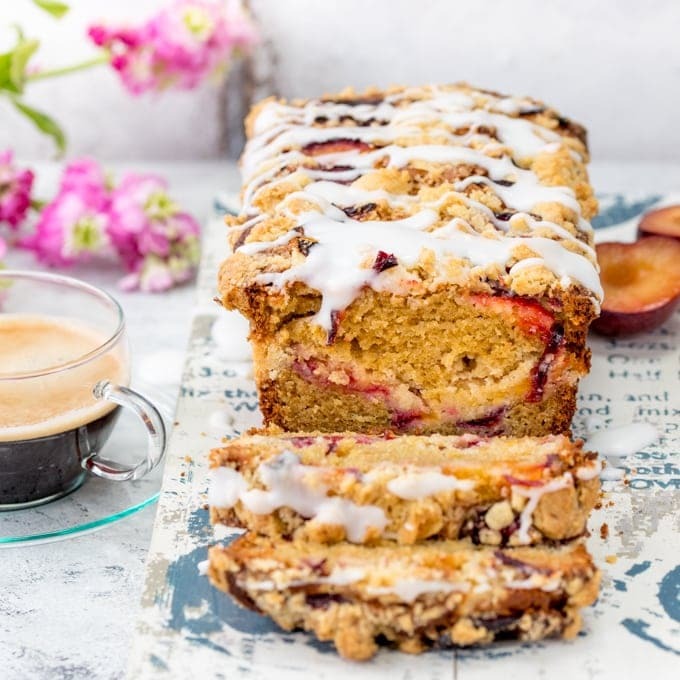 Shape each piece into a ball and arrange on a tray that’s been covered with a piece of baking parchment. You can arrange into lines, or if you want to do it in a circle like I did, place an oven-proof small bowl (such as a ramekin) in the middle of your tray, and arrange the balls around the outside. Try to ensure the balls are around a centimetre apart (They’ll start to join up with the final prove and also during baking). Place the baking try inside a carrier bag and leave to prove for one final hour. Preheat the oven to 200c/400f. Make up the paste for the crosses. In a bowl, mix the flour with about 5 tbsps of cold water using a fork. You’re looking for paste about the consistency of wallpaper paste, so may need to add a bit more flour or water. Spoon into a piping bag with a small round nozzle (or a plastic sandwich bag with a tiny hole in the corner) and draw the crosses on the buns. Place in the oven and cook for 20 mins. Take out of the oven, then glaze whilst still hot (this helps to ensure the buns stay soft on top). Mix together the melted butter and honey, then spread all over the tops and sides of the buns with a pastry brush. Once the buns are cool, remove the bowl in the centre. Carefully (I use a large spatula, plus some help from Chris!) transfer the buns to a large plate. Made the orange honey butter, by mixing the butter, 2 tbsp of honey and the orange zest together. Place in a small bowl and top with the candied peel and the rest of the honey. Place the bowl in the middle of the hot cross bun ring before serving. Leftover hot cross buns can be stored in an airtight contained at room temperature for 2-3 days. You can also freeze the buns, then defrost before serving (serve cold, toasted, or even microwave them for a few seconds if you'd like them warm). My OH complains about Hot Cross Buns being a mostly Easter treat. I surprised him over the weekend by making these, needless to say he was very happy. That workshop sounds like the best experience! I used to do a little photography and I really should get back into it. It would mean I might actually take decent photos and not just use my phone’s camera. 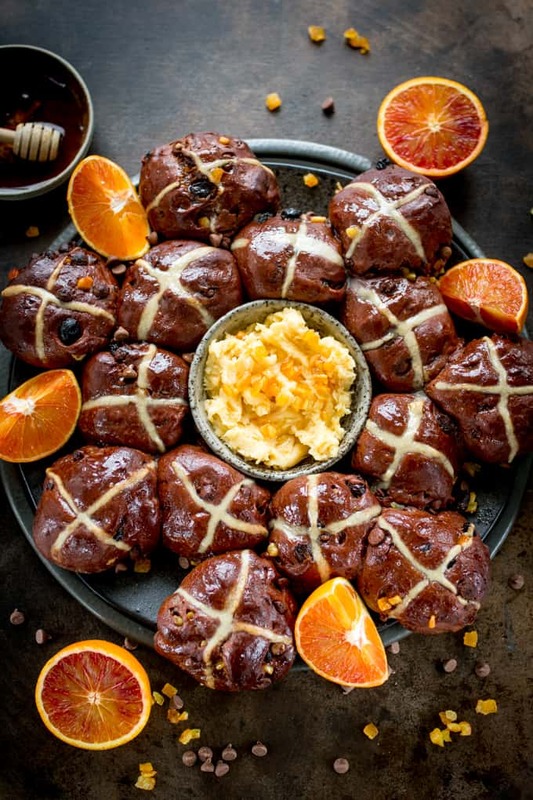 Anyway, those hot cross buns looks fantastic, the look of the glaze and the orange honey butter has me drooling! 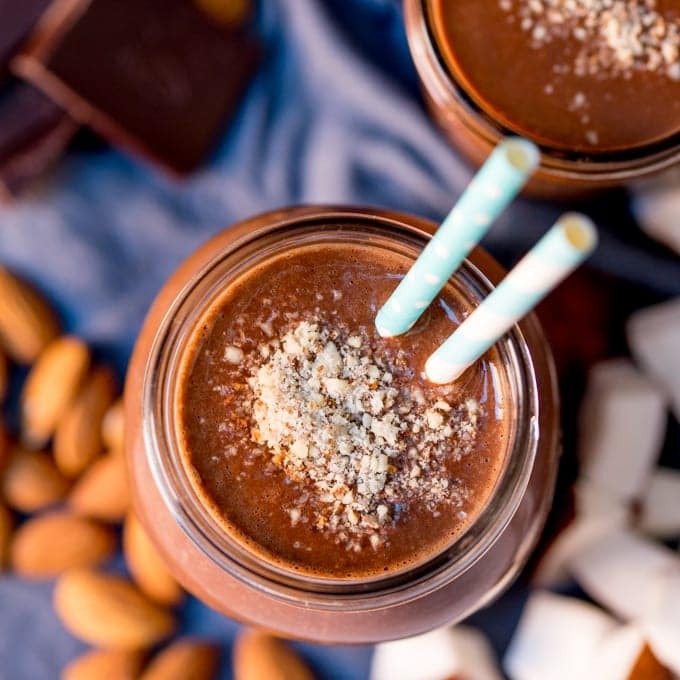 It sounds so yum.